Why Do You Need Some Fresh Air? After more than a decade of selling Real Estate throughout the Denver Metro area, Managing Broker Jackie Long decided it was time to do things differently – her way. She started Fresh Air Real Estate in January 2013 & it’s going strong! Welcoming Realtor Kathryn Senft to the team brings clients even more capable, talented agents to the table to ensure you make it to the Closing table – with a smile! Utilizing the top technology solutions, proven best practices and cutting-edge market knowledge, Jackie & Kathryn form a Team offering a creative & complete real estate solution which gives you a fresh perspective you just can’t find anywhere else. The company’s proven track record has served us well in our competitive, fast-paced market. Whether you’re in a multiple-offer situation in your purchase or fielding multiple offers on your property sale, you want a Fresh Air by your side to ensure success! The numbers don’t lie! 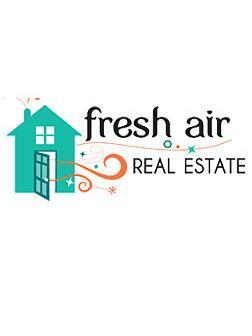 Fresh Air has sold more than $50 Million worth of residential real estate since opening its doors. With Fresh Air, you get all of the perks with none of the stress & worries. Our turnkey solutions are there to ensure your transaction is seamless & you are satisfied. “Above & Beyond” is simply our way of doing business. Buyers, sellers & investors who decide they need a breath of Fresh Air for Real Estate results receive proactive, diligent & professional services – with style, smarts & a sense of humor! From finding the home of your dreams to a savvy sale, we bring all of my resources to the table so you make confident, well-informed decisions. And those dog postcards will keep you laughing along the way! And rest assured we will stay in touch and continue to be a resource you can count on. We build life-long relationships that last so you never have to question where to go or who to call for solutions that fit you, your friends and your family members’ real estate needs. Relocating? Purchasing an investment property? Buying your first home? Selling to trade up or downsize? Just Choose Jackie & Just Call Kathryn & we’ll make it a breeze!